« Happy Ada Lovelace Day! 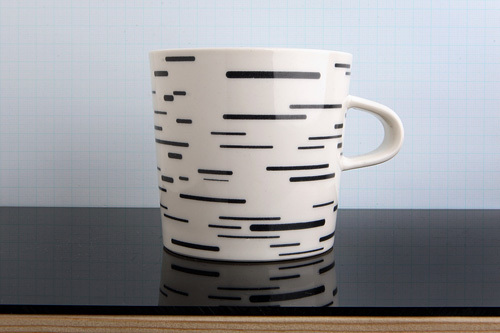 Birch/Bříza mug by Czech company whitefruits. It’s from 2006, but seems to have been a prototype only and does not seem to be in production now, which is unfortunate. This entry was posted on Wednesday, March 25th, 2009 at 12:42 am	and is filed under design. You can follow any responses to this entry through the RSS 2.0 feed. You can leave a response, or trackback from your own site. stunning! I also love the onion which in fact looks a lot more like a pomegranate.